An online GoFundMe campaign set up to help Michael Rogers after video of his bid to stop Friday's attack went viral surged past AU$100,000 (US$72,000) Monday. Michael Rogers, a homeless man, used a shopping cart to halt last week's terror attack in Melbourne. 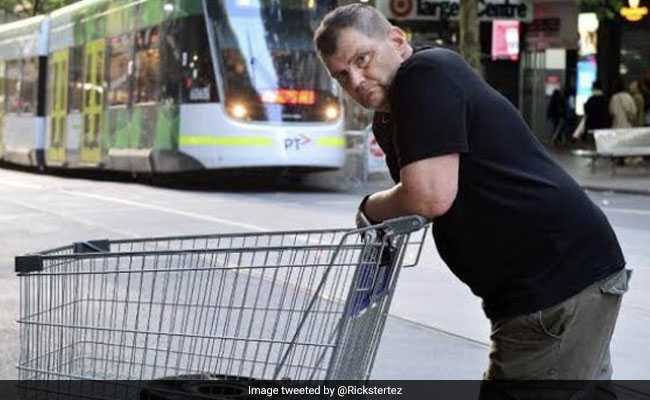 Donations poured in Monday for a homeless man dubbed "trolleyman" for his attempt to use a shopping cart to halt last week's deadly lone wolf terror attack in Melbourne.